You’re about to write a stunning article... Where do you start? Selecting proper keywords to create a nice piece is only half the battle. It’s going to take niche research – how else can you figure out what is in popular demand now? Sailing through the seas of analytical information is much easier now. This is exactly where our new Topic Research tool will come in handy. Let’s take a look. 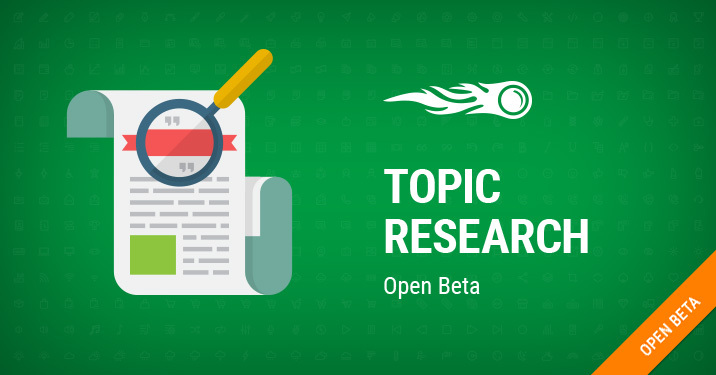 The Topic Research tool was developed to help content strategists find the most popular articles on the Web for a specific keyword in no time. You’re now able to carry out a content study easily and quickly – no more hours of web surfing! Just type in a keyword you’re interested in, select an area and language for your search, click “Get content ideas” and off we go! By default, ideas are shown as cards, each of which contains the most popular subtopics and articles from the websites that rank highest on the SERP for your seed keyword. The most popular articles that most resonate with your audience are marked green. You can use the handy filter to sort topics by volume, difficulty or efficiency. To obtain a full picture, view the detailed cards on each topic. They contain more headlines, related searches and even the most common questions asked by users on different forums regarding the topic. In case you just need some ideas for what to write about, we have designed the Mind Map view – you can switch to it at any time. 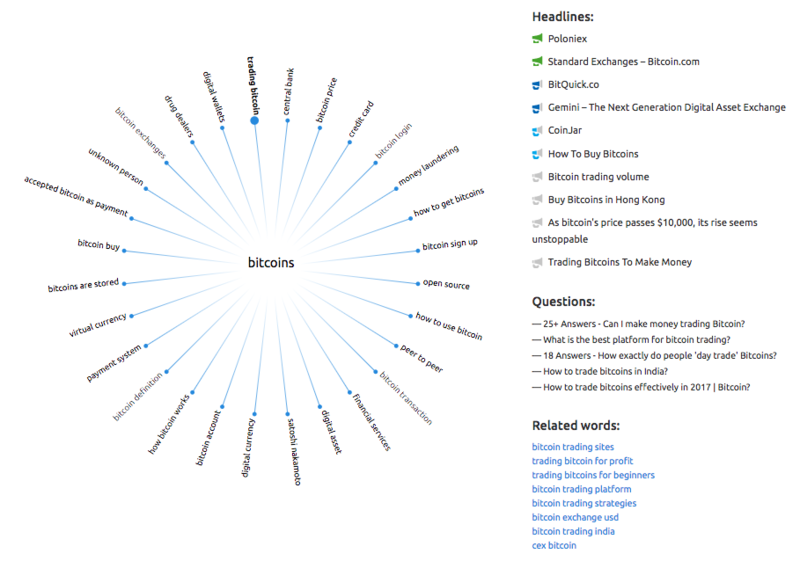 In this, shall we say, more illustrative mode, the tool shows related keywords and hot headlines, as well as related searches for their combination with the seed keyword. You can add any headlines or questions to Favorite ideas for more detailed analysis. This is very useful since it's easy to sort selected items by number of backlinks or search volume, and also export them. [email protected] Thanks for making SEMrush better!